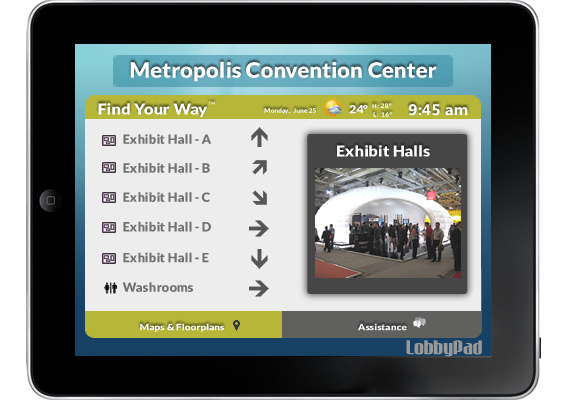 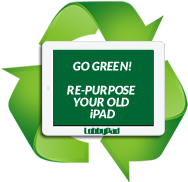 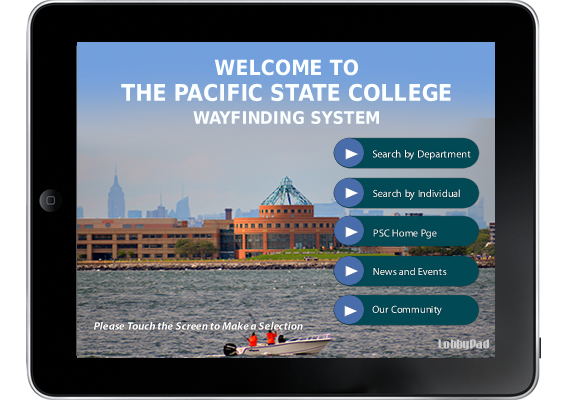 Welcome your visitors with LobbyPad's interactive digital signage solutions. 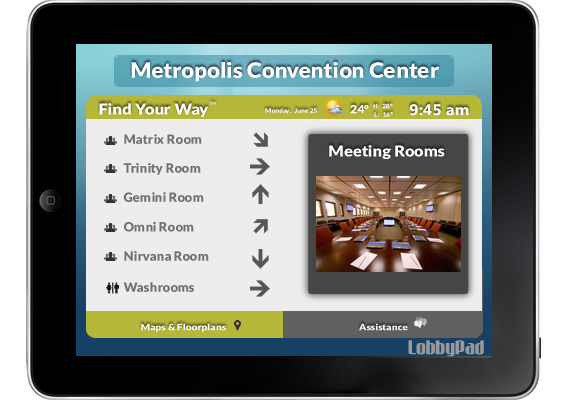 Manage busy indoor environments more effectively by offering your employees and visitors a quick, convenient and easy-to-use option to find their way around. 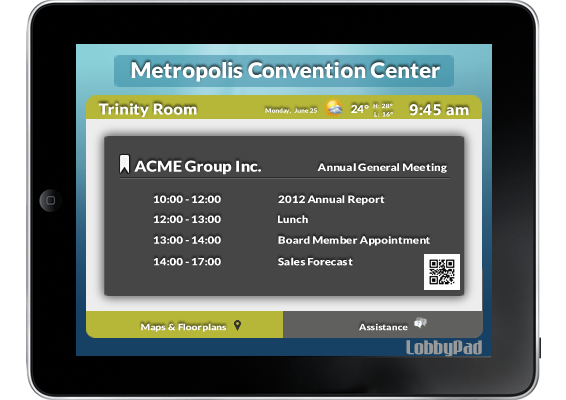 Provide onscreen brand-reinforcement, advertising, news, announcements and the ability to quickly reserve meeting rooms using onscreen barcodes.